When photo manufacturers and retailers hold live events, it’s always worth paying attention; you never know when you might be able to snap up a deal. If you’re free on 2 August and 27 October, you’ll therefore want to put aside some time for this year’s CameraWorld LIVE events. Being held at the famous motor racing circuit of Brands Hatch in August, and in the City of London in October, the events will give you a chance to get hands-on with the latest gear and snag a few top bargains. While many details of the London event are yet to be confirmed, the Brands Hatch event is already shaping up to be very interesting. As you may have inferred, the theme is racing, but there should be plenty on offer for photographers of all stripes, even those with zero interest in cars. Naturally, the top camera brands are going to be there. Canon, Nikon, Sony, Fujifilm, Olympus and Panasonic are all signed up to attend, as are lens-makers ZEISS, Samyang and Tamron. Those looking for accessories will also be spoilt for choice, whether they’re looking for tripods from the likes of Benro, Sirui and Vanguard, or bags and filters from Tenba and Hoya respectively. Print specialists Epson is also going to be present, with a fun Scalextric photography session from which participants will be able to get their shots printed. Vanguard will also be hosting a session with photographer Stewart Marsden, who'll be explaining how to get the best out of tripods when it comes to subjects like fast cars. CameraWorld’s LIVE events have become famous for their deals, so if you’re in the market for any new gear it’ll be well worth a look. As an extra incentive, the trade-in post will also have a 10% extra offer when you trade in your gear at the show. Tony Stent, director at CameraWorld, said: "CameraWorld has a new show and we couldn’t be more excited! CameraWorld LIVE at Brands Hatch will show us at full-throttle. There will be plenty of action to photograph, gear to test and of course our famous show deals." 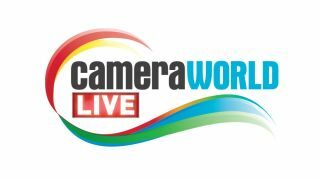 CameraWorld LIVE will be at Brands Hatch on Thursday August 2nd, 11am-4pm. For more information, head to the CameraWorld website, and head to the Brands Hatch page if you need some information on how to get there.